That means there are thousands of Christian families who aren’t sure what they are supposed to be feeling. Some feel it’s all fun and games, while others feel it’s an invitation to demon-possession and the occult. A safe, Christian alternative rife with candy and treats, but without the threat of Ouija boards and witches. But here’s the thing: Halloween is already Fall Festival. Pagans had a number of festivals they celebrated throughout the year, one of which was Samhain, which means “Summer’s End.” Depending on who you ask, it was somewhere between a harvest celebration and a day to glorify satan and sacrifice your children to appease evil demon spirits. As Christianity grew around the world, Christians found themselves in a predicament. The culture around them celebrated death and darkness, but they were children of light. They need a response. An alternative. A fall festival of sorts. Whereas the rest of the world was afraid of death, so they tried to appease it by glorifying it, the Christian had no fear of death. So rather than celebrate death, they mocked it. They laughed at it. They made a joke out of the power of the devil, because the devil had absolutely no power over them. He had been defeated, stripped of any and all authority, and was basically the laughingstock of the church. And on this “All Saints’ Day,” Christians were encouraged to remember and celebrate the lives of mighty men and women of God who had lived and died. They were celebrated because, although their physical bodies had died, they were alive in Christ, and thus were seated in heaven with Christ, alive as can be. Death had absolutely no power over the church. And that’s how the church took a day of celebrating darkness and death, and changed it into a day to mock darkness in death and instead celebrate light and life. Should you perform a séance on Halloween? No. Should you glorify the Occult on Halloween? No. Should you be afraid of October 31st? No. Halloween is just a day, one of 365 of ‘em. And just like every other day of the year, my family is going to give glory to the King of kings and the Lord of lords, the One who does all things well and has redeemed me from the power of death and given me eternal life. Want more empowerment through God’s Word? Buy my book! 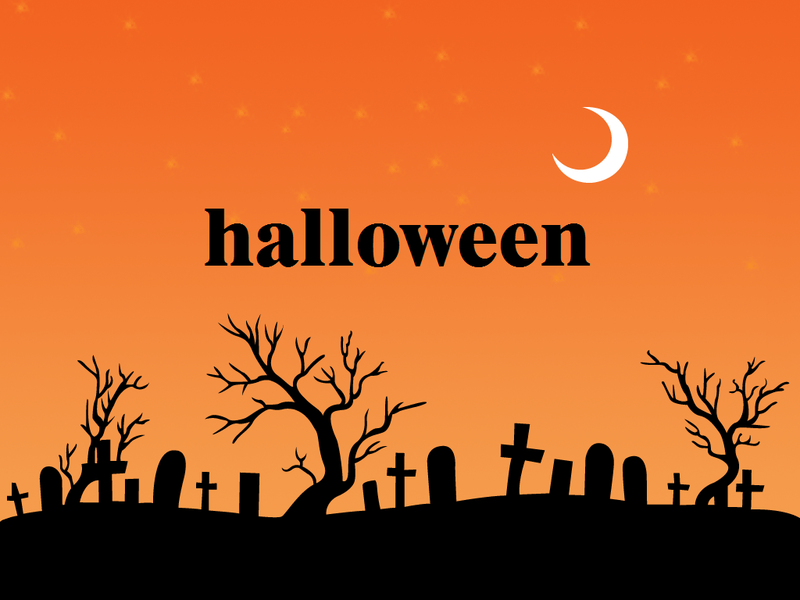 This entry was posted in Just for Fun and tagged all hallows' eve, all saints' day, all saints' eve, christians and halloween, fall festival, halloween, occult by garrettjmilovich. Bookmark the permalink. Amen. Thanks for reminding us that this holiday has been redeemed. We don’t need to be intimidated or fearful of what misguided people may do, occult-wise. And on this day we, the saints, celebrate the resurrection life in Christ not death (along with all 364 other days! ).